Washable incontinence products offer protection from incontinence with the benefit of being reusable rather than throw away. 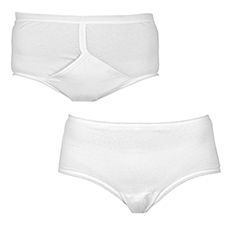 The level of protection available will vary from light to medium urinary incontinence. Absorbency is displayed in millilitres on all of the absorbent washable incontinence products.